As the Eagles look to bounce back in their home opener Sunday against Dallas, fans will be out in full force to make sure Tony Romo and the Dez Bryant-less Cowboys know exactly where they are at all times. 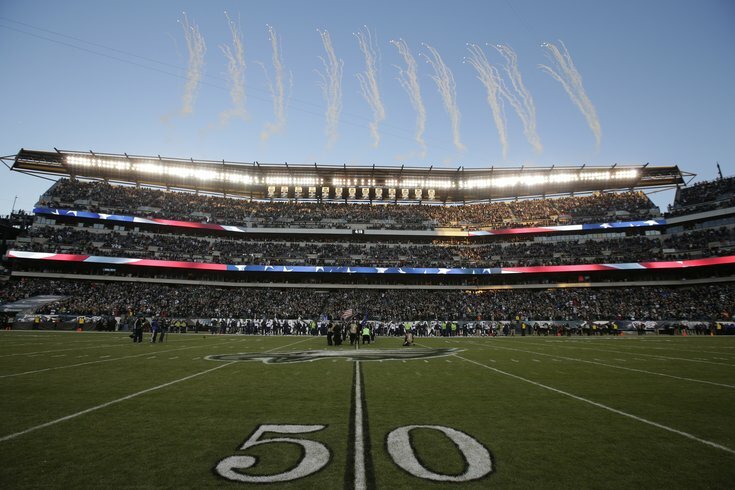 In what figures to be a hard-hitting chess match between Chip Kelly and Jason Garrett, Eagles fans will be pleased to know that Lincoln Financial Field is regarded among the NFL's top stadiums for concessions. Jason Heidemann at Orbitz put together a list of the top 5 and had this to say about the Linc. Ever labored under the wishful thinking that a slice at a ballpark would amount to anything more than a soggy, overpriced and undercooked piece of dough? Wishes come true at Pizzeria Vetri, a newish dining option inside Philly’s Financial Field from celebrity chef and James Beard Award winner Marc Vetri, who is dishing out a small selection of genuinely tasty wood-fired pizzas. There’s also Paesano’s from chef Peter McAndrews which serves up fancy takes on both a brisket sandwich and a chicken diavlo (think spicy chicken breast with Salami, roasted tomatoes, broccoli rabe, herb cheddar spread and sharp provolone). The items mentioned are part of this year's renewed food and beverage partnership between the Linc and Aramark, which brings several tempting new additions. • Lager Braised Beef Sandwich served with carmelized onion and cheese fondue, topped with roasted long hot pepper giardiniera. • At Quick and Carmichael's BBQ locations, a new Chipotle Mac & Cheese, topped with Cool Ranch Doritos and black cherry or maple sugar smoked pulled. (In section 134, at the Tork Cafe in the SCA Club and Market in the Panasonic Club).